The last week of September saw my hummingbird numbers dwindle from about five or so down to one seen on the last day of the month. 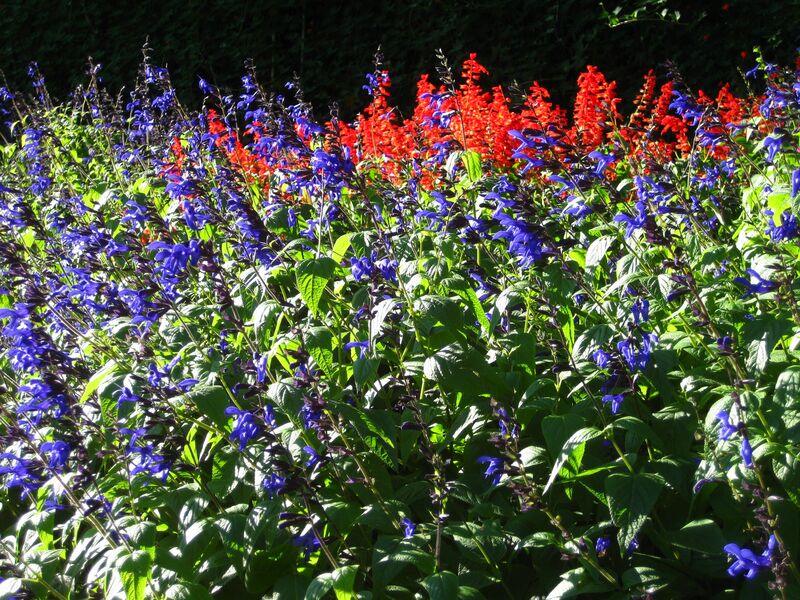 Yesterday, the first day of October, I was lucky to briefly observe one shy hummer feeding from Salvia guaranitica and a volunteerS. subrotunda in my flower border. Though I still have feeders up, I’ve recently seen only occasionally use of them; most of these late juvenile hummers seem to prefer visiting flowers. With the hoards departed for the points south of here, the few remaining hummers had more than enough flowers to meet their needs, so territorial squabbles became infrequent. I’m often asked when hummingbird feeders should be taken down. Contrary to what some folks have heard, hummingbirds are not held up in migration by continued food availability. If they were, I would still have dozens of hummingbirds in my yard today! Decreasing day length as summer winds down gives hummingbirds the urge to migrate. Their energetically-demanding long-distance migration to Mexico and Central America is fueled by fat deposits accumulated this time of year through their voracious feeding efforts. Particularly once the inevitable first freeze lays waste to flowers, any late hummers still in the area may rely on artificial feeders to provide them with the energy needed to continue south before winter closes in. I usually leave at least one feeder up into November, when nightly freezing temperatures make it difficult to keep thawed nectar available. When I didn’t see any hummingbirds this morning at the flowers or feeders as I wandered around the yard with my morning cup of coffee, I thought that perhaps yesterday’s hummer sighting may have been my last for the next seven months. I set up the sprinkler to water my flower beds (we’ve had less than an inch of rain in the month of September, and have no rain on the horizon), turned on the water, and returned inside the house. When I looked out of the dining room window to check on the sprinklers, I saw a hummer bathing in the spray of water!